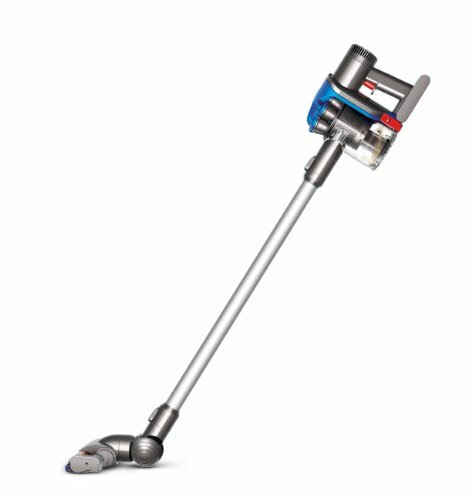 Electrolux Ergorapido Ion Vs Dyson DC35 -- Which is Better EL1030A or DC35? EL1030A vs DC35: What's the Difference? If you are here, I am assuming you have narrowed your search down to -- they Dyson DC35 and the Electrolux Ergorapido Ion -- however from here are unsure as to which cordless stick vacuum is right for you, well if so you are in the right place. This comparison account will analyse the differences as well as the similarities amongst the features and specifications of the respective vacuum cleaners and ultimately determine which one best suits your specific preferences as well as providing you with the most overall value relative to its price. The Ergorapido unfortunately doesn't exactly state its suction power, making it difficult to compare quantitatively -- but like you see with the difference in batteries of the two (a long with various factors), the DC35 does edges it in terms of cleaning performance (on both hard floors & soft floors and big & small particles). Both offer a dual power mode: a standard option and a boost option (for the particularly tough and dug in dirt and debris), moreover they offer a similar cyclonic technology that performs pretty much the same job (although the Dyson to a greater extent) -- whereby it prevents the vacuums from loss of suction (as debris builds up), allowing it to operate on a bagless mechanism and to generate centrifugal forces to pick up microscopic dirt and dust particles. DC35: Cordless Vacuum Cleaner. Weight -- 2.2 kg. As you can see there is a slight difference in weight, with the DC35 coming in just a tad lighter (0.11 kg difference) giving it that edge in mobility and ease of use, especially when cleaning up high (e.g. ceilings and curtains) -- with a given sense of control which could be mainly due to the weight being distributed (and hence center of gravity) within the handle. When it comes to vacuuming on hard-floorings both are 'delightful' to use, no problems -- however I have found that when you use the Ergorapido on soft-flooring it gets tough (especially the thicker it is), not so with the DC35 it manuevers very well. DC35: Battery Life - Standard Mode: 15 Minutes, Boost Mode: 6 minutes. Recharge Time - Unofficial 4 hours. Bin Capacity: 0.35 Litres. Turns into a Hand Vac. Wall Mounted Docking Station. Narrow & Low Base Profile. Depth: 11.8" x Width: 9.1" x Height: 44.1". LED Display. Ergorapido: Battery Life - Runs up to 30 minutes. Recharge Time - Unofficial 3 to 4 hours. Bin Capacity: 0.44 litres. Headlights. Turns into a Hand Vac. Narrow & Low Base Profile. Depth: 5" x Width: 10.75" x Height: 42.5". LED Display. The actual run time is rather different (surprisingly) -- the Ergorapido can actually last twice the length of the DC35 (and unofficially in its boost mode also, but as established not to the same cleaning performance). However, you will notice that the recharge time: from 'dead' to fully charged is about the same on both approximately 3.5 hours, with the DC35 actually coming with a wall mounted docking station to keep it nicely kept away (but you can charge it separately like that of the Ergorapido) -- as well as both being compact in size, so are incredibly easy to store away. Moreover, the bin capacity of the two are rather similarly compact, with the DC35 being a little bit smaller (by 0.08 litres) -- both however are equipped with a very simple empty mechanism. Another unique ability is the 2 in 1 vacuum feature whereby they can both be turned into essentially handheld vacuum (with the DC35 looking very much like the DC34) which opens an array of benefits in itself such as intricate cleaning (e.g. in cars and on stair ways). 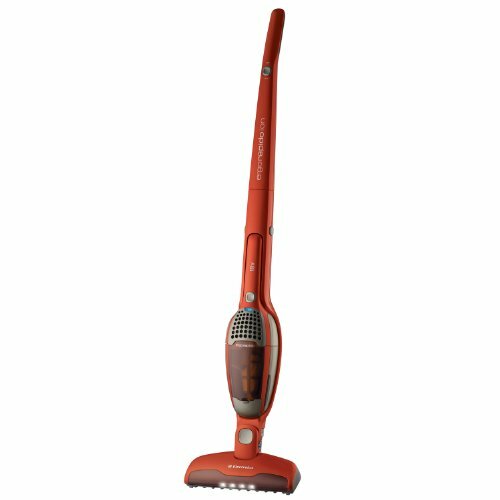 Both have also been designed with a low cleaner head profile in mind, to allow you to easily clean under furniture and obstacles etc. as well as an LED display to indicate the condition of the battery. Furthermore, the Ergorapido actually comes with a fitted set of headlights across the cleaner head to allow for the user to locate pockets of dust (not too sure if they are really that useful though). They are effectively instated with the same accessories -- the Ergorapido gets the two tools separately whereas the DC35 gets the same two tools on one (the combination tool is basically a crevice tool, used for cleaning tight & awkward gaps, which also has an attached brush nozzle, which is primarily used for powered dusting). Moreover, you can get the 'Animal' version of the DC35 which basically means you just get an additional -- specifically designed for effective pick up of pet hair -- attachment: the mini pet hair turbine tool. You should also note that both the Dyson DC35 and Electrolux Ergorapido Ion are both covered on a two year warranty guarantee which covers both parts and labour, hence if anything breaks within that time period from as soon as which you bought it you are entitled for it to be fixed free of charge. Moreover, they are also both fitted with a filter system that prevents allergens and dust particles from being blown out into the air whilst vacuuming, hence they are safe to be used by asthma and allergy sufferers. Conclusion: Should You Buy the Dyson DC35 or Electrolux Ergorapido Ion? In all, which one you choose depends mainly on two main aspects: i) which one best suits your needs and preferences e.g. if you are after a particularly long run time (without the extra cost of having to swap around batteries etc.) then the Ergorapido Ion is what I would advise. ii) If you prefer the DC35, how much more? Because it come at a price tag of around $100 more expensive than the Ergorapido Ion. In my personal view, if the decision was down just between the two models -- I would opt for the Ergorapido, as I don't believe the DC35 justifies that extra price from an 'overview'. Let me know which one you would buy and why? Also, if you have any questions, remarks or comments regarding either the comparison article 'DC35 Vs Erograpido' or about either of the vacuum cleaner models specifically (e.g. 35 mechanical specifications and/or features) then please do not hesitate to make them in the comments section just below and I will be sure to get back to you as soon as possible.